Traditional paper publications are considered proactive and focused mediums as they are delivered directly to the hands of the user. But while effective, they are notoriously expensive due to paper and postage costs today. ANGLER offers Mobile E-Publishing Services that encompass migration of content from almost any format to digital format. Our mobile publishing team is equipped to deliver all types of services and solutions for the print, online and media domains. 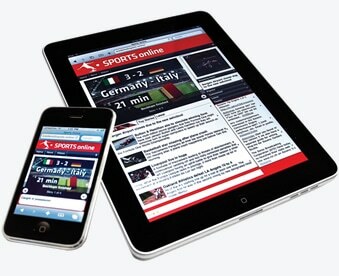 Our Mobile E-Publishing services permits our clients to instantly create and proactively distribute their easy-to-read ‘Digital Editions’ – simply using the internet as transport to the user (via email, URL link or accessed from the client’s website) – for viewing in Online, Offline and Mobile modes; anywhere, anytime. Leveraging the latest technology coupled with seasoned professionals and trained staff, we are geared up to meet your expectations in terms of quality, turnaround time, pricing and support. Our customized Mobile E-Publishing Solutions facilitates clients to substantially reduce costs, improve ROI, improve efficiency and better meet the requirements of end customers.